Wow…to say I was a little stunned is an understatement. I still am. I’m not even sure what to make of it. It’s not secret I haven’t been found here in this format very much. It’s just very time consuming and right now, I honestly just can’t keep up with it all so like I’ve said in the past, I’ve been reprioritizing. That’s just the way it goes. I haven’t given up running. I guess I’ve just given up talking about it in depth. Do I feel irrelevant? I guess I might if I ever felt relevant in the first place. This blog was never about working with brands (although it’s been an awesome perk). It’s been about connecting and sharing. My goal this entire time was to just be me. To share with you my struggles and wins and to be a reminder that life will always has it’s ups and downs but it’s how you come back from it all that makes you…you. I feel like I’m past sharing workouts with you…unless you want them. I feel like you’ve read everything there is to read about all things running tips and tricks. The focus is really just about my personal fitness (& running) journey. 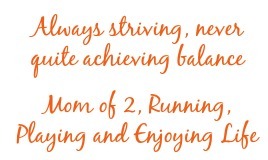 There are so many ways running parallels life. If we can draw those parallels together, we will feel much more like a community just trying to help each other out. Do brands see me as irrelevant? I don’t know. I guess you would have to ask them. I will tell you honestly that I’ve toned down the sponsored posts. I’ve gotten more selective and so subsequently, you won’t see much of it here. So I guess I’m wanting to know from you all. What do you come here looking for? What do you want to read about? Hopefully you know that I still love to connect on IG, Snapchat and Twitter. Find me at MomsLRB on all three. And of course, I love to connect in person…so next time your in town or I get the chance to travel, I might be reaching out. The best part about this virtual world is that you’re never without a running buddy. Um yeah, whoever you had that conversation with, please slap them for me! I have totally understood the slowing down of posts lately, and thought you explained it well already. I still love to see posts from you, no matter what they are about, they all are interesting to me. 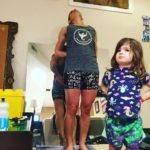 I like that you keep us inspired to keep going as working/running moms, and I don’t feel like you paint a better picture of your life like some other bloggers do, you keep it real. And INSPIRING. I guess I don’t know how to say it, but basically you give me inspiration for being a great working/running mom, but you don’t make your life out to be perfect so that I in turn feel worse about myself and my imperfect life. You tell it like it is. And I can tell you honestly want to connect with other parents, and serve as part of a community, not just get free stuff from companies! So THANK YOU!! I’m feeling a lot of the same feelings you are! 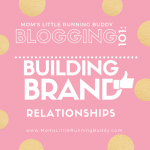 While I love blogging/writing and doing occasional sponsored posts, I’d much rather connect with people on social media these days. I’ll still be writing and yes, I might be less relevant to brands at this point, but I’m happy and helping people out through my posts and connections. It does make me sad that my shoe company might not choose me again next year just due to the lack of “promotion” I FEEL like I’ve been doing, but I’ll take that when it comes. It’s so interesting you post this because another blogger and I had the same conversation over a year ago. She kept telling me she felt irrelevant and, while I grasped what she was saying, my first thought was: to whom? I think she meant as you say here to brands. I think she also meant to the greater blogging community at large. For me, and I know I’m quirky in this way and it’s only gotten more quirky 🙂 as I stop looking to brands to help me create an income, it’s all about how I feel with regards to my writing. Right when I feel called to. I write a lot more than I’m comfortable sharing publicly. What I write is so important to me and so personal I get satisfaction simply through the act of creating. That alone makes me feel relevant. You know what I think for me it boils down to this 🙂 external versus internal validation. Carla recently posted…Starting a Solitary Reading Club. Wow whoever said that to you is kind of rude! Ok really rude. I agree with you- working with brands has been an awesome perk of being a blogger but it’s not the main reason I blog. I started my blog because I wanted to document my running & fitness journey and also because I love to write about my passions. If people read it, they read it, if they don’t, they don’t. I’m not super concerned with that. When I go to other running bloggers blogs I go to read about their running journeys and their struggles and successes! Keep doing you!! I read this last night and thought to myself, “Who actually verbalizes that statement?”. As someone you urged to jump into the deep end of the blog pool, I say thanks. You are true to yourself and that is what continues to inspire me to continue. Keep fighting the fight and know there are still “little guys” like me out there you are relevant to. I love reading your blog. My children are grown I have no little running buddies, but you live to run and so do I therefore I enjoy your writing. Keep it up! I’m so glad you wrote this post!!! I hate that some body posed such an off putting question like that to you though. Weirdo. But, anywho, I’ve been feeling much the same! I was posting workouts and stuff for a while but then I just got burnt out thinking, there’s way better posts alllllll over pintrest if someone wants a good workout. It seems like everything has already been done before. Ha! 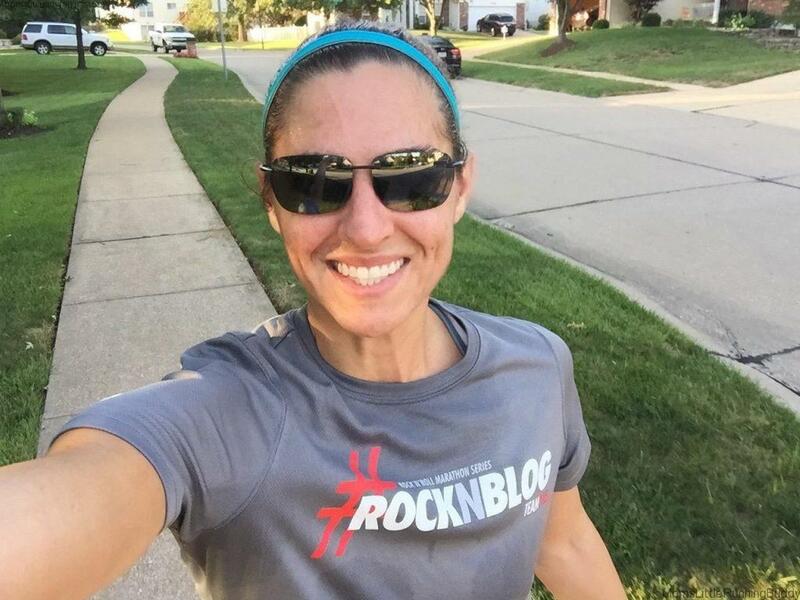 My blog began as a running journal when I began running. Like you said, to connect! I’m just now hoping to simply “live”. Inspire by being me. I have many obligations outside of blogging that it’s gone to the backburner. And I’m more than okay with this because it’s nice having family time and things like that. 🙂 I enjoy reading your blog because it’s like connecting with a friend. My husband hates all my running banter. So I blog and read blogs. 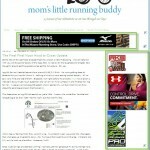 I read a lot of running blogs and I never ever care about the sponsored content, mostly because I keep it simple (i.e. cheap) in my own running and never buy supplements or special clothing or whatever. So when I read blogs it’s to follow the journey. I love following those who are striving for a big goal and/or training for a specific race and being honest and sharing the emotions of that journey. Being able to write coherently about it all goes a long way with me as well. I’ve also fallen off the pace with blogging (2 year old son, new house, wife’s job is crazy at the moment…) but I know I love it and will pick it back up eventually. Good luck to you and your future blogging!